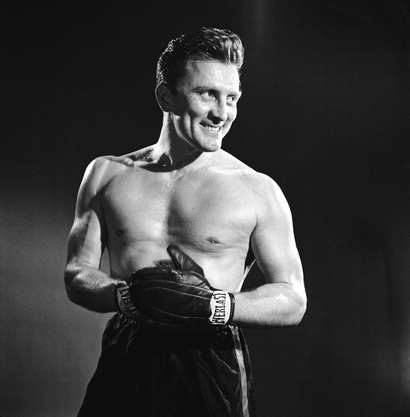 Morning Man Classic: Kirk Douglas! The star of such Hollywood classics as Spartacus, Lust for Life, 20,000 Leagues Under the Sea, Gunfight at the O.K. Corral, Paths of Glory, Champion, The Bad and the Beautiful and Young Man With a Horn is still going strong at the age of 93. A three-time Oscar nominee and recipient of an honorary Academy Award, Kirk Douglas could spend his time collecting lifetime achievement awards. But that’s not enough for this living legend who starred in an autobiographical one man show entitled Before I Forget at the Center Theater Group’s Kirk Douglas Theatre in Culver City a year ago. The four performances were filmed and turned into a documentary that was first screened in January 2010. 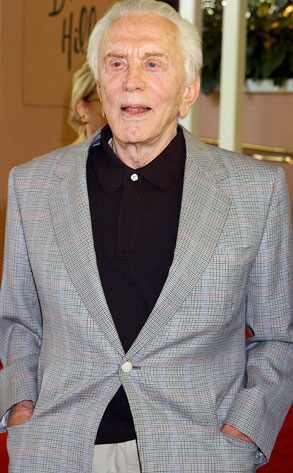 He is an amazing example of longevity and his Oscar-winning son, Michael Douglas. The two starred in 2003′s It Runs in the Family, the first film in which they appeared together. Kirk Douglas has had that energy in spades.